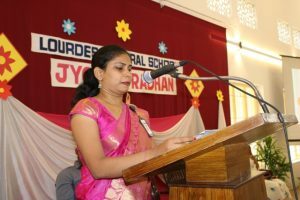 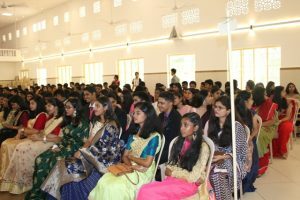 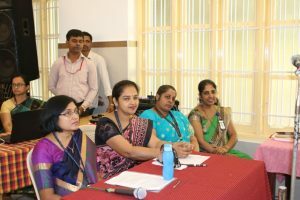 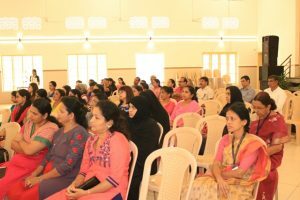 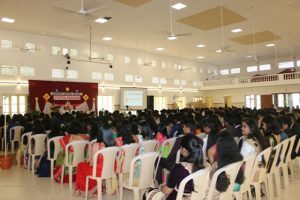 Jyothi Pradhan for the outgoing students of classes X and XII was held on 25.1.2019. 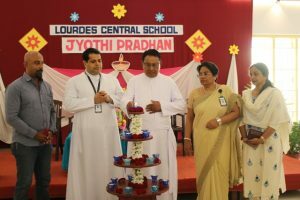 The day began with a beautiful and meaningful Eucharistic Celebration celebrated by Rev Fr Santosh Rodrigues. 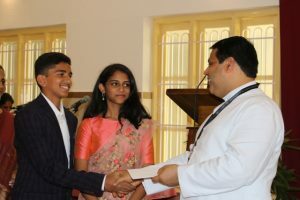 Being the Feast of the conversion of St Paul , Fr Rodrigues encouraged the students to emulate St Paul and imbibe his qualities of humility, perseverance, thirst for knowledge and courage. 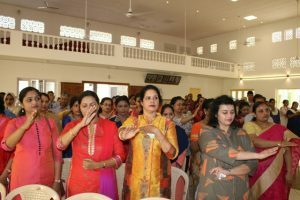 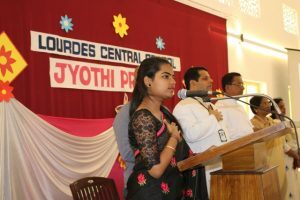 The farewell programme was held at Bijai Church Hall. 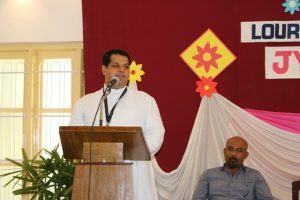 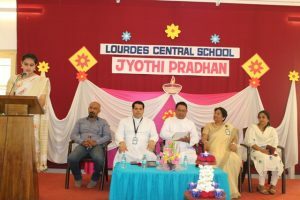 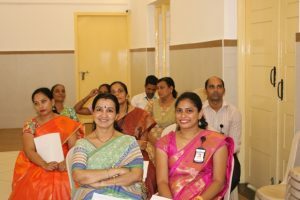 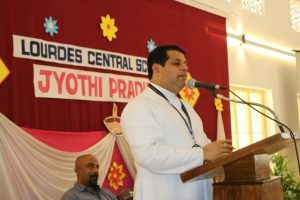 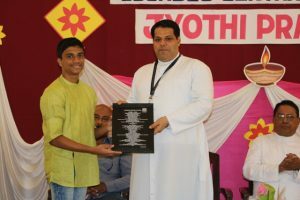 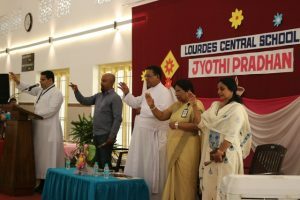 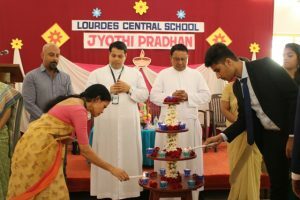 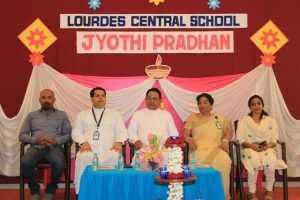 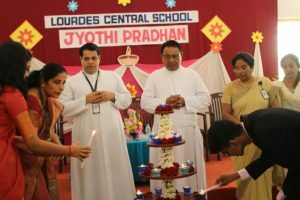 Ms Sharmila Colaco extended a warm welcome to the Manager Rev Fr Wilson L Vitus D’souza, Principal Rev Fr Robert D’souza, Vice Principal Ms Belita Mascarenhas, the parent representatives, Ms Sumol Peter parent of George Peter, Mr Anil Alva parent of Yash Alva. 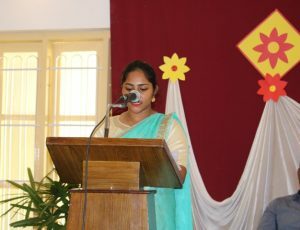 She also welcomed the outgoing students, their parents and staff members. 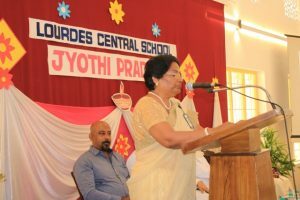 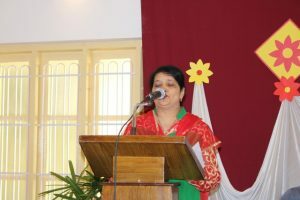 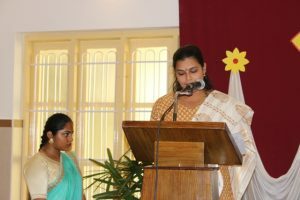 Students were made to realise the importance of the day by Ms Belita Mascarenhas who also spoke to them about meeting challenges with perseverance and never to quit. 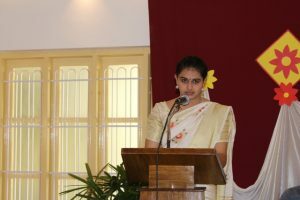 She also advised them to seek help whenever they need it from the right people. 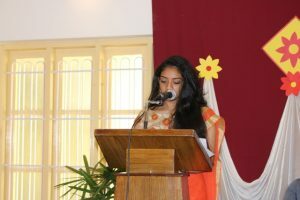 Students of classes IX and XI gave a soulful rendition of the prayer song which set the ambience for the day. 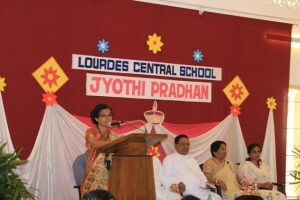 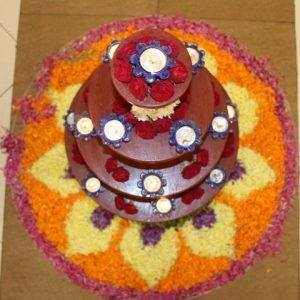 Thought provoking and soothing passages were read out from Holy Scriptures by Ms Deepa D’souza and Ms Linet D’souza. 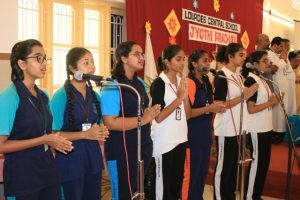 Prayers and petitions on behalf of students were placed before the Almighty by Ms Shaila, Mr Henry, Dr Anita Lobo, Ms Vidyashree B , Ms Shanthika and Ms Adhya. 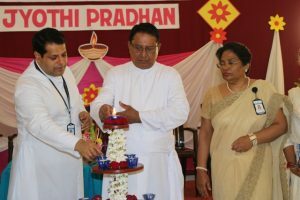 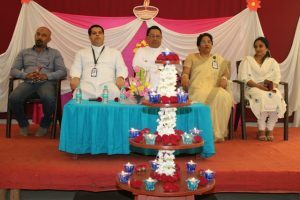 The Manager, Principal, Vice Principal, Parent and Student Representatives inaugurated the programme by lighting the lamp . 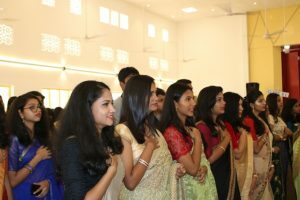 The Head girl Eva Jessica D’souza led the students through the pledge to be loyal to the Alma Mater. 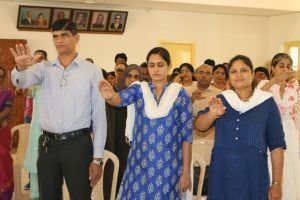 Led by the Principal the staff and parents solemnly blessed the students wishing them good health and peace of mind to prepare and write the crucial Board Exams and to come out with flying colours. 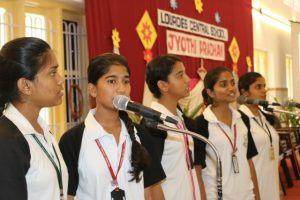 Kritharth of Class X and Meghana Kashyap of class XII reminisced about their learning experiences in school and expressed their gratitude. 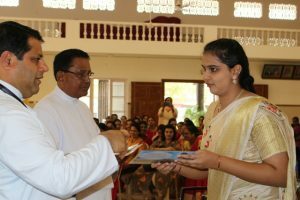 The Principal commended the students for their excellence in academics and extracurricular activities. 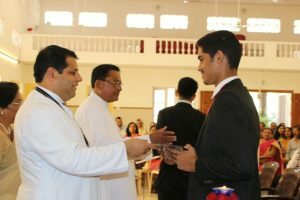 He also appreciated the good rapport between teachers and students. 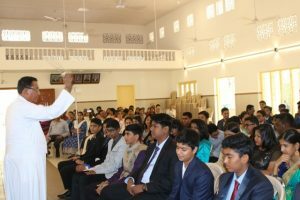 He encouraged the students to strive hard and live worthily for inner satisfaction and joy and to brighten the lives of others. 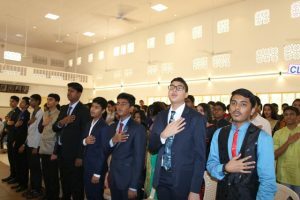 The Manager advised the students to never forget the discipline and value based education they received in school and to become people with a human heart. 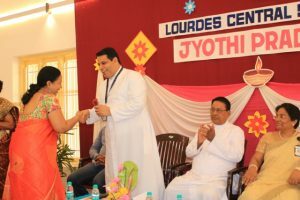 Class teachers along with class representatives presented tokens of gratitude to the Principal. 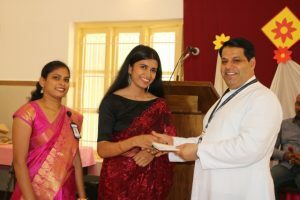 All students received a memento to treasure. 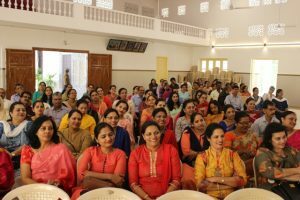 For the next ten minutes the audience was led down memory lane by a power point presentation by Ms Chandini and Mr Girish. 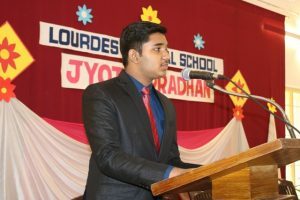 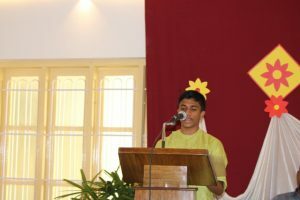 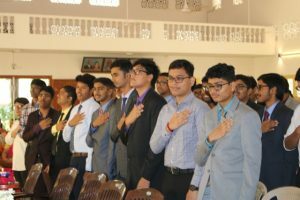 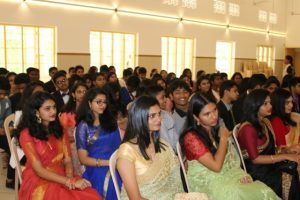 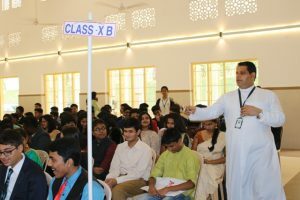 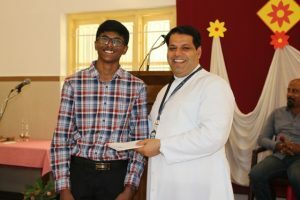 The programme ended with the vote of thanks by Rueben Lobo of class XII who thanked everyone present especially the teachers who led them from ABC to Calculus and who helped them through their long journey of fourteen years.